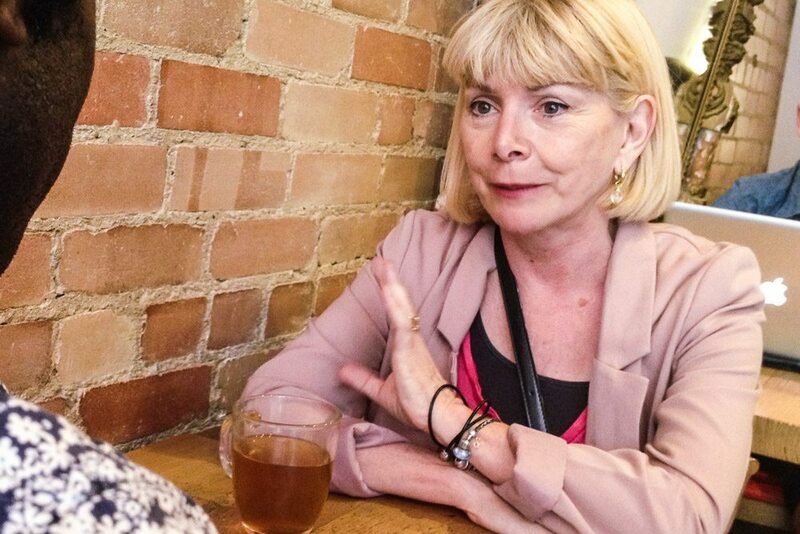 Cheri DiNovo: Ontario NDP Must Acknowledge Election "Debacle"
Parkdale-High Park MPP says her party abandoned its socially progressive values during the recent provincial election. Parkdale High-Park MPP Cheri DiNovo, in an interview about the 2014 provincial election. The NDP offset its three losses in Toronto with victories in Oshawa, Windsor, and Sudbury, maintaining its 21-seat count in the provincial legislature but losing the balance of power it held during the previous minority government. During the campaign the party faced harsh criticism from union allies and from within its own ranks, including a letter signed by 34 prominent social activists with longstanding NDP ties, challenging party leader Andrea Horwath to explain why she was asking NDP supporters to vote against their own principles. Concerns about the Ontario NDP’s direction have not abated in the month since the election. DiNovo, a decades-long activist for queer rights who was first elected in 2006, held her seat by just 525 votes, against Liberal challenger Nancy Leblanc. (In 2011 DiNovo won by 3,488 votes.) “I pretty much ran against my party in terms of platform,” said DiNovo. “Many of our supporters—who voted Liberal—saw more progress in the Liberal budget than they saw in our platform. That was a core mistake.” She attributes her victory to running a municipal-style campaign that highlighted her constituency work, rather than that platform. DiNovo’s decision to speak out about the state of her party coincides with considerable internal ONDP strife. Several key party organizers have already met to discuss some next steps, including removing current members of the party’s executive. And as the Globe and Mail reported, party leader Andrea Horwath’s chief of staff Gissel Yanez, and advisor Elliott Anderson, will be leaving their positions. ONDP president Neethan Shan, who ran unsuccessfully for the party in Scarborough-Rouge River, registered to run for Toronto city council in Ward 42 (Scarborough-Rouge River) the following week. There does not appear to be any concerted effort to replace Horwath herself, however. With a federal election coming in 2015 (which will pull resources and talent from the provincial party), and no clear consensus candidate that the progressive wing of the party could rally around, there’s no sense that a leadership challenge is in the offing. Horwath faces a leadership review in November, at the party’s convention; according to the ONDP constitution, she needs a majority of delegate votes to continue as party leader. Critics notwithstanding, she is widely expected to clear that hurdle without difficulty. DiNovo said that while the party did consult the grassroots membership before the campaign, the party’s platform ultimately did not reflect those consultations. Nigel Bariffe, who campaigned unsuccessfully for the NDP in Etobicoke North, disagrees, and said riding associations and candidates were shut out of the process. “The type of platform that came forward wasn’t one that went through a democratic process,” Bariffe told us in a phone interview. “As a candidate, I didn’t have any say.” Bariffe was also adamant that changes within the ONDP leadership are necessary. He expressed disappointment with the treatment he received from some senior party staffers, particularly Yanez. “They’re gonna have to fall on their swords,” he said. “I understand that we were trying to appeal to Conservative voters outside of Toronto, but we can’t ever give up our core values and principles,” DiNovo continued. “To do it is to become another Liberal party, which is the last thing I want.” She promised to keep fighting for what she sees as critical progressive issues in her riding, including housing, the electrification of the Pearson Airport rail link, and Toronto’s ongoing struggles with the Ontario Municipal Board.